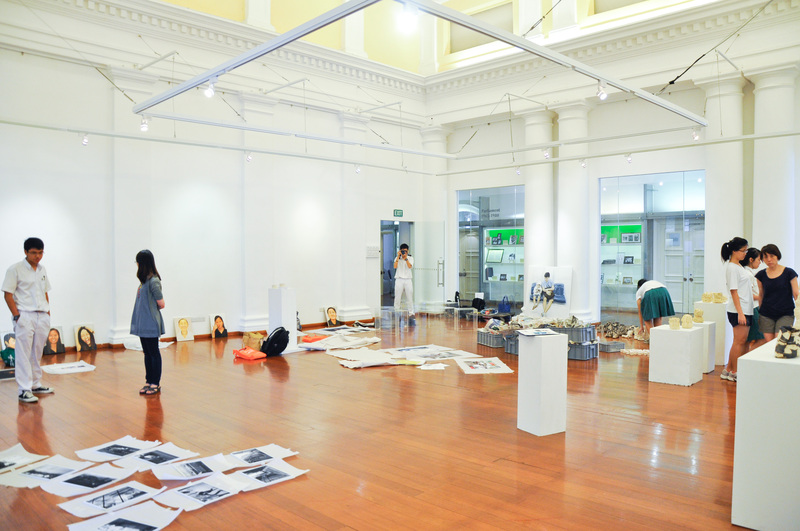 Over the 13th and 14th of April this year, a varied mix of art lovers, curious tourists and supportive schoolmates streamed admiringly into the main gallery of the Arts House, wondering at the eclectic range of artworks on display. 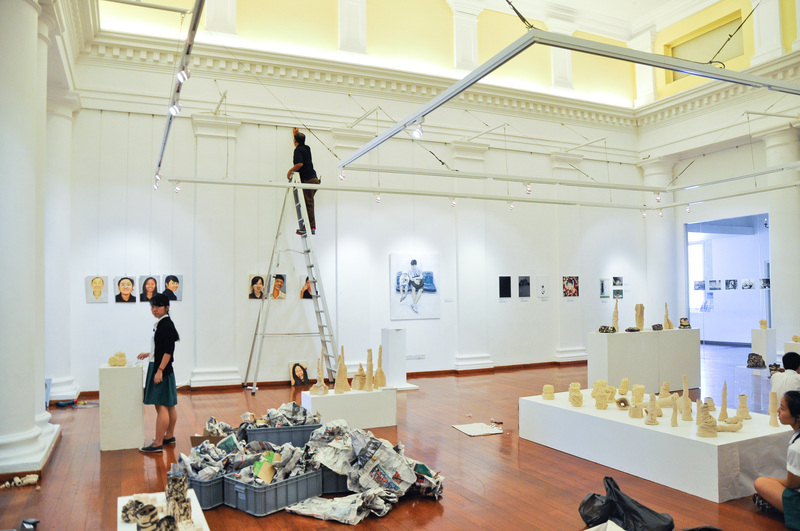 The unsuspecting crowd-puller, of course, was none other than the Raffles Art Club’s and Photographic Society’s inaugural joint exhibition, “Introspect”. This was undoubtedly fulfilled for the artists and photographers in the run-up to “Introspect”. Many experimented with unconventional techniques and styles in their interpretations of the theme – several snazzy self-portraits and sculptures were particularly eye-catching. Others, such as Tay Zhi Yuan (12S03O) with his series of London street scenes, captured others in moments or scenes of introspection. From the artists’ descriptions, it was clear that each piece represented a long but rewarding journey for them. Like her, many other Raffles photographers also learnt a lot from the exhibition, through the entire process of the photoshoot and photo editing. The sheer amount of hard work that goes behind every single photo is something which often goes unappreciated. Before any photo is fit for exhibition, it goes through a long, repetitive process of shooting and editing, until a satisfactory product is obtained. The same could definitely be said of the work of Raffles Art Club. The fairly simple designs of all the sculptures exhibited belied the painstaking and tedious moulding and sculpturing which went into their creation. The paintings which were also up on display all took hours to create, evident from the excruciating detail in every single piece. A series of lifelike portraits of Rafflesians attracted the attention of many, but the star of the show was undoubtedly the piece entitled “Transition No. 17”, by a Raffles alumnus. The picture depicted the scene of a boy and his father sitting together on an MRT ride, and aimed to capture the fleeting moments in life which we quickly forget. The shared emotion between father and son was poignantly illustrated in the picture, and one could feel the warmth of their love emanating from the painting. “Introspect” was definitely a rousing success, with visitors from both RI and elsewhere in attendance. For those of you who have missed the exhibition, fret not, for given “Introspect”‘s success, there are sure to be more of such exhibitions coming up in the future.